During the event, Garage+, a Startup incubator with a deep relation to Taiwanese Startup Ecosystem through various activities, such as investment, acceleration and insulation, gives the presentation on the latest local trend of this topic. 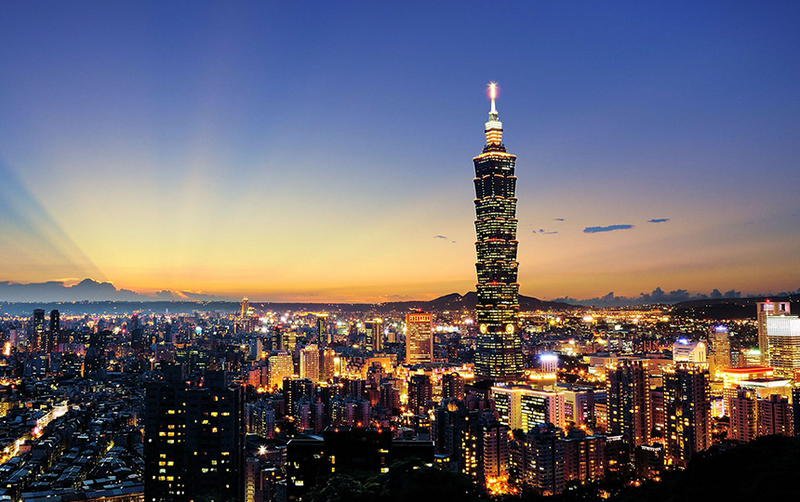 Additionally, nine Taiwanese Startups will present their pitch to introduce about their ideas and team. We sincerely invite everyone to join this great opportunity to further understand Taiwanese Startup Ecosystem. Garage+ is a zero-equity incubator supported by Epoch Foundation, a non-profit founded by 20 bluechip companies in Taiwan. In 2003, Epoch initiated an educational program, Young Entrepreneurs of the Future, to cultivate young talents, which has generated more than 60 startups. In 2008, Garage+ was founded to back up entrepreneurs. Since 2014, more than 196 startups (including 89 international startups) have resided in Garage+. It focuses on early-stage startups in IoT, Smart Device, Healthcare (medical devices and digital health), AR/VR, Big Data, AI, Robotics, and Green Tech. 1.’‘Best Incubator in Taiwan” awarded by Ministry of Economic Affairs in 2015, 2017, and 2018. 2.The only invited incubator in the main hall at Computex Taipei 2018, the world’s 2nd largest technology exhibition. 3.The most recognized Asian incubator for international startups – more than 1,000 applications since 2016. BioInspira is a UC Berkeley and Lawrence Berkeley National Lab (LBNL) spin-off company harnessing the power of advanced bio-materials to make low cost and highly accurate sensors for real-time detection and analysis of air chemicals. Our materials utilize genetic engineering and chemical modifications to enable highly selective sensors for air chemicals. While receiving widespread interest from many different sectors, BioInspira is focusing on hydrocarbon and nasty gases – such as formaldehyde, ammonia, etc. – as a platform to hit initial markets. For instance, the application for real-time detection of natural gas where there has been a prolonged problem in the Oil&Gas industry to efficiently differentiate the pipeline gas from the background or biogenic methane. We are now actively looking for customers/partners for field pilots and proof of concept testing, as well as sensor monitoring evaluation. ■ Coolso Technology Co., Ltd.
Coolso is a startup founded in February 2017. We are developing a Human Computer Interface solution using self-owned unique patented muscle bio signal detection technology developed by our founder. We aim to provide a reliable and flexible gesture recognition solution which allows user to easily control interactive content or electronics with their bare hands. Our field of application includes Gaming, AR/VR, IoT, and medical rehabilitation or prosthetics. Fuelstation Inc.’s first product: GO+ is a combination of a “music streaming offline cache-play platform” and “smart streaming earphone.” The brand-new ecosystem revolutionizes users’ listening experience and protects audio contents (such as Music, Audiobooks and Podcasts) by eliminating the intermediate processes. GO+ aims to target sport and outdoor enthusiasts as it allows users to leave their phone behind and not worry about battery, storage, BT pairing and WiFi connection issue or even the inconveniences of carrying their phone during workout. 4. Built in ambient sound noise capturing technology to help users to stay aware of their surrounding activities. After knowing 70 percent of humanity’s water supply goes toward growing plants, Hugreen decided to make plants production more efficient. Hugreen is a modern agriculture company that develops a solution for flower/delicate plants growers, integrating international resources to develop a precise and automated managing system. Automated facilities, irrigation, temperature controller, and lightening systems are controlled by precision agriculture sensors. A cloud base plant library recommends the optimum conditions for different types of plants. Sensor-database cross comparison system prevents all diseases and pests beforehand by showing the alarm/recommendations to customer’s smart phone. The flexibility, accuracy and price over performance ratio let us receive more than 10000 sets preorders from Australia, north America, and Europe. Hugreen dedicate ourselves to help small farmers also can grow better and save more resources. Inline helps thriving restaurants automate customer operations and improve the user experience for patrons before, during, and after dining. Inline services are used by millions of patrons at hundreds of locations in multiple countries. Unlike traditional restaurant software, inline is an open platform that is designed to integrate with point of sale systems, customer relationship systems, websites, digital signage, and 3rd party apps. Kura Care LLC is a medical information analytics expert. Our proprietary health+Ai platform can build a disease model with personalized precision in a short period of time and condense huge amounts of medical information into insightful index to facilitate the medical decision process. Our solution is not just designed for hospital use, but can also be used for post-charge patients and telemedicine users. We have successfully built medical grade prediction engines for conditions such as heart failure, sepsis, infection, and influenza with 90% accuracy. We understand that analytics results need to be seamlessly combined with the existing medical workflow to maximize its value. Therefore, on top of analytics engines, we also provide ubiquitous value delivery solution (with or without sensor) to ensure largest coverage. By combining solid analytics engines and novel value delivery methods, we are able to reduce mortality rate, lower management cost, and increase care quality for hospitals and senior care facilities. Our solution has been adopted by several well respected hospitals in Taiwan. Lucid is a profitable vision AI startup which developed the 3D Fusion technology, currently available in its flagship, the first VR180 consumer camera: LucidCam. Its technology allows any dual camera device such as 3D cameras, smartphones, robots, drones and others to sense and capture 3D/depth without the addition of sensors or emissions. Over time Lucid’s pure software solution outperforms expensive and large hardware depth systems by only leveraging on dual cameras and machine learning. WASAI Technology provides Big Data acceleration platform based on FPGA card. Our solutions, including Apache Hadoop™ and Apache Spark™ systems for big data field, and secondary analysis of next-generation sequencing for biomedical field, bring in 2x to 6x performance boost and increase 30% to 200% power efficiency. WASAI acceleration platform enables extremely high performance in data processing and low power consumption, which, together, reduces total-cost-of-ownership (TCO) of data center operation. The application domains of WASAI FPGA acceleration include big data cloud service, AI, telecom, IOT and biomedical services, which substantially benefit customers in the field of precision medicine. In order to meet the challenges of big data era, our goal is to bring our customers with better data computing value. ※* First-time participants need to register here in order to apply for events. After you’ve completed your registration, please apply here.